Want to get everyone out for a bit of fresh air fun, but need a break from deciding who gets which swing? 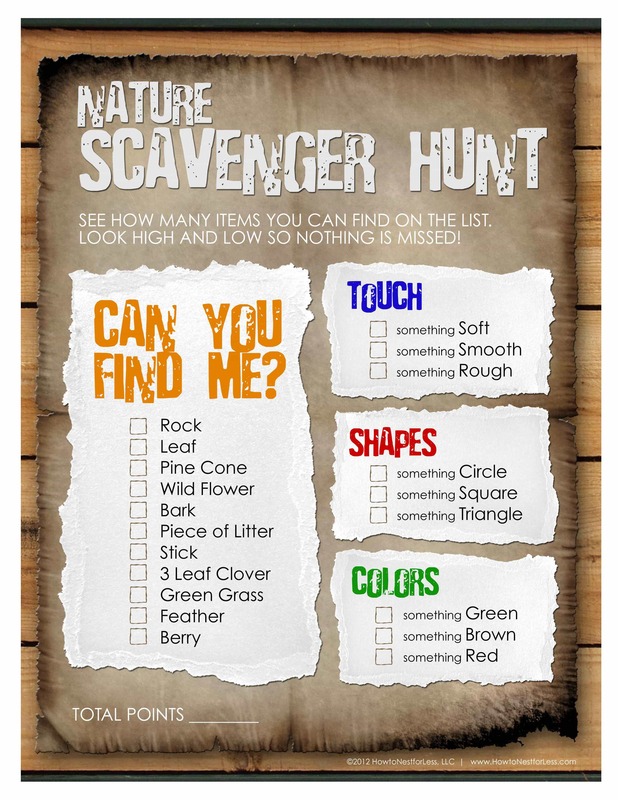 Try a nature scavenger hunt! If you wish to avoid sibling squabbles and competition, hand them the list and have them go searching together. If you wish to avoid hunting alone with the kids, take an evening family walk or meet friends at the park. If you wish to avoid going out into the wild at all, appoint yourself scavenger hunt checker and have them bring their finds to you. Do whatever bring the most fun and the biggest smiles! Would you like to make your own "My Nature Treasures" bag for all of your scavenger hunt finds? You can print the design directly onto a brown paper lunch bag or print it onto white paper and paste onto your bag. Yay! I LOVE it! 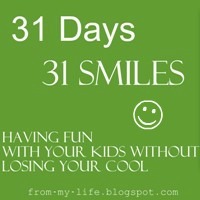 In fact I think I'll use it during the kid time of the retreat I'm planning. I've been looking for some fun, but organized (and low-key) activity for outdoors. This is perfect! Sounds like a plan for our trip to West Virginia! Lots of new things out there to explore! Thanks!! ... we went on a nature walk for the first time since we've lived here in SC. found a treasure of a garden. hope to post about it soon. Books to Make Election Day Fun!